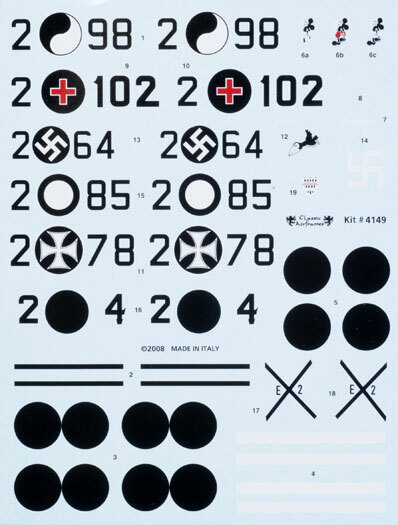 Conclusion: An emphatic improvement over CA's original Heinkel He 51 for experienced modellers, well detailed and very attractive marking options. 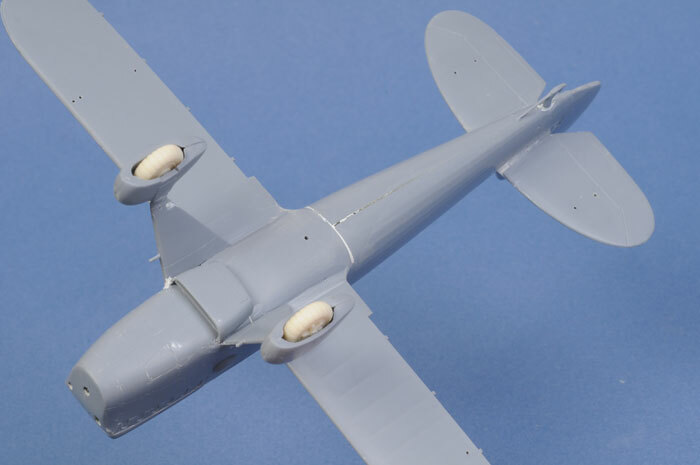 Classic Airframes releases several versions of the Heinkel He 51 with conventional undercarriage and floats as some of their early kits in 1996. These were quite respectable models that have stood the test of time. 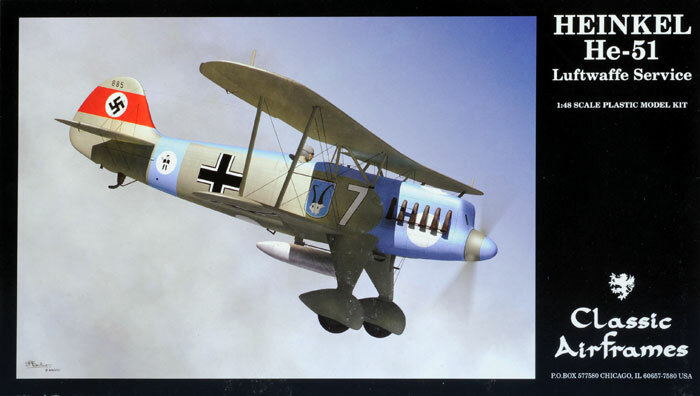 In fact, I built one of these early Classic Airframes Heinkels around two years ago, amd was quite impressed. 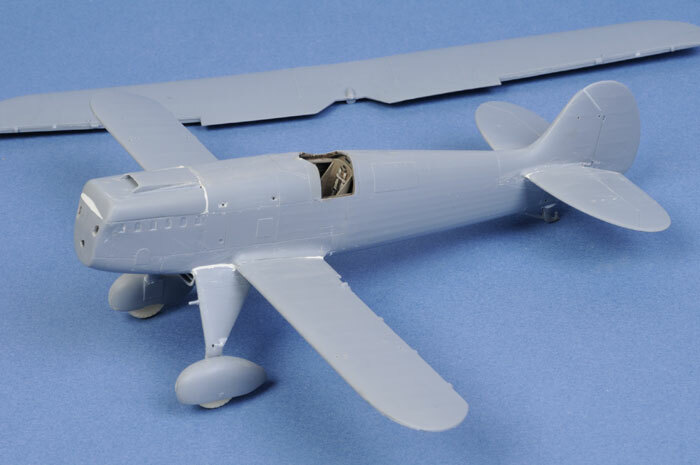 I was therefore surprised and curious when Classic Airframes announced a new 1/48 scale Heinkel He 51. My first thought was tht Uncle Jules must really like the He 51. My second thought was how much of the kit would be completely new. Opening the box reveals that these two models are completely new, with no parts in common with the original Classic Airframes release. These new Heinkels are better in all respects. 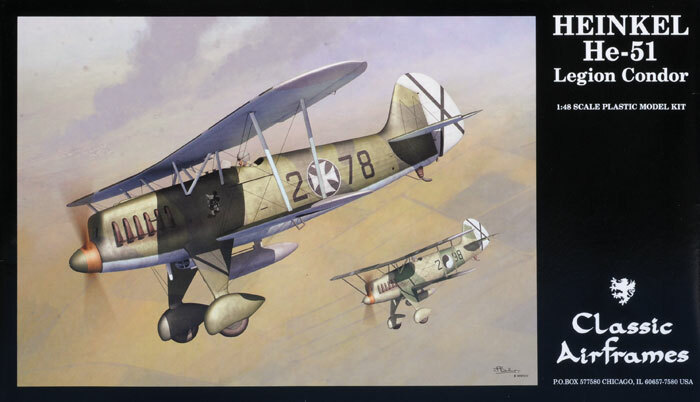 Classic Airframes has released two versions simultaneously - "in Luftwaffe Service" and "Spanish Civil War". Only the decals and box top differ. 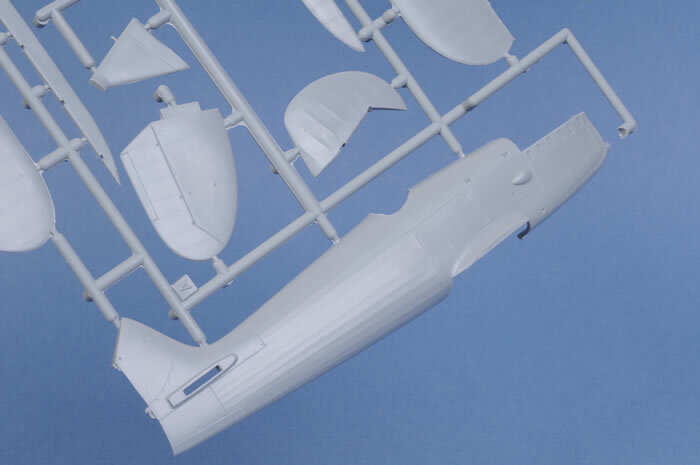 Each kit comprises 73 parts in grey plastic; one part in clear; four parts in cream coloured resin; markings for four aircraft. Surface detail is very nice indeed. The fabric texture is subtle and convincing, supplemented with recessed panel lines on the "metal" nose plus various raised lumps, bumps and panels as appropriate. This kit does not include etched metal, but detailis not compromised. 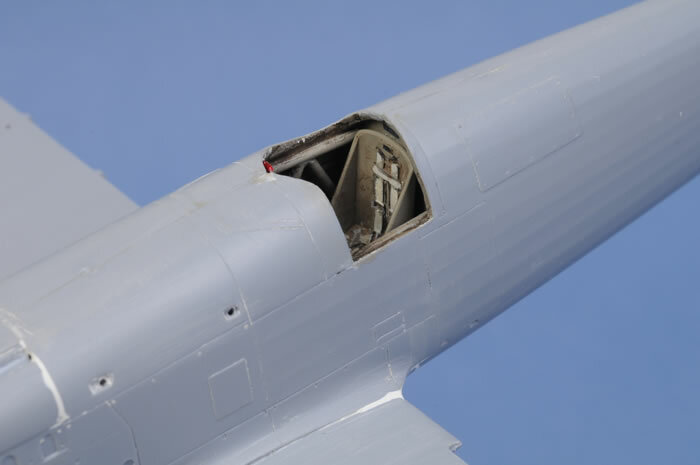 The cockpit is fitted out with a frame made up from separate plastic parts, a partially see-through floor, two piece instrument panel and a resin seat. The seat has harness straps cast in place, and these come up quite nicely after careful painting. 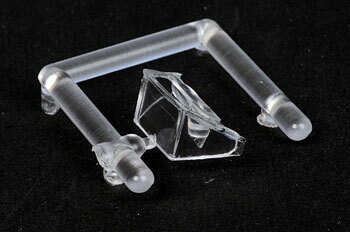 Several other delicate resin parts are dstined to be quadrant handles. 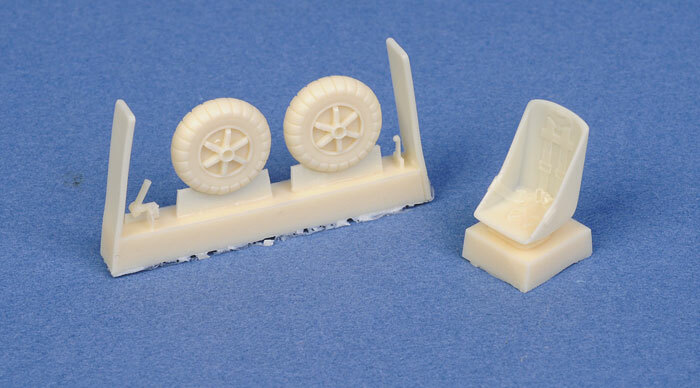 Resin wheels are also supplied. 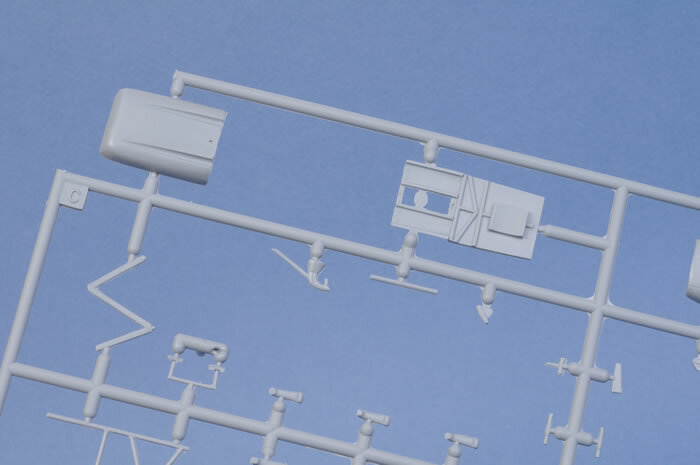 These are well rendered, but most of the hubs will be hidden inside the spats. The exhaust stacks are supplied as individual parts and the ends are hollowed out - a nice touch. 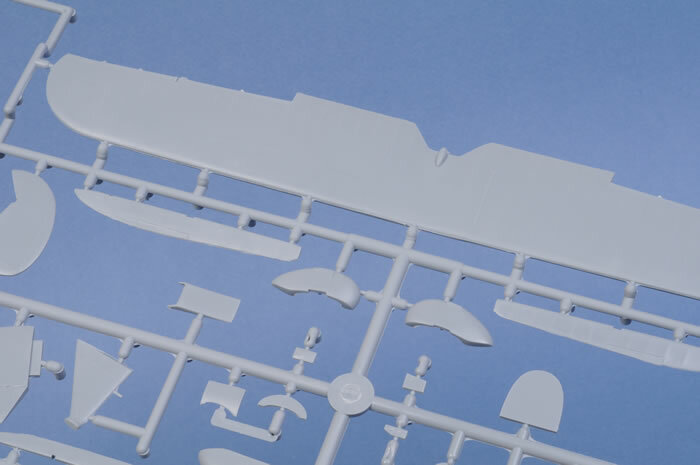 A single injection moulded clear part is provided for the windscreen. It is nice to see separate ailerons, flaps and rudder this time around. Contemporary photos show the flaps were often seen partially or fully dropped when the aircraft was parked (although pilots were probably instructed to retract their flaps immediately upon landing, especially on unmade Iberian airfields). A separate entry door is also included - just the thing to display the nice cockpit detail. 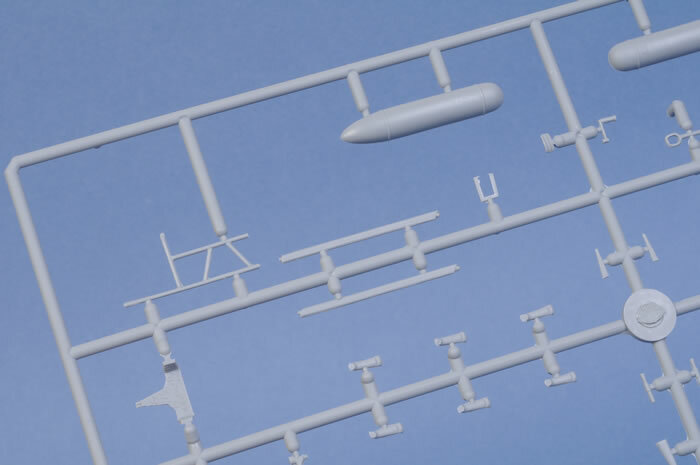 A drop tanks is also supplied. Moulding quality is very good. Ejector pins are exclusively located on inner surfaces and there are no sink marks on my sample. There is some fine flash on nost of the parts that needs to be thoroughly cleaned up prior to assembly. 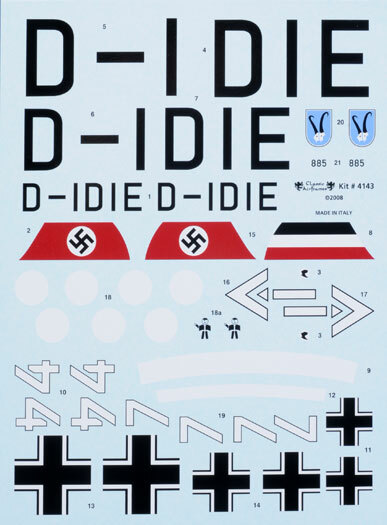 Markings are supplied for four colourful aircraft in both kits. Decals are vivid, in perfect register, glossy and thin. I have already finished most of the basic construction. Fit is generally good. Some fiddling is needed to fit the instrument panels around the tubular framing. I sliced and diced my frame to avoid interfering with the fit of the floor and the instrument panels. 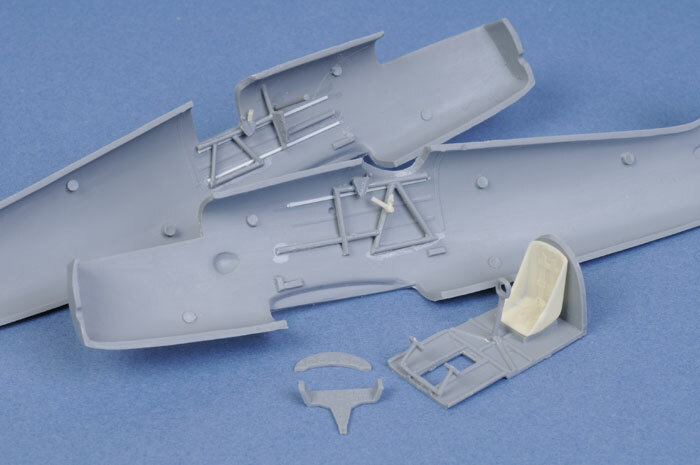 I think it will be easier to mount the lower instrument panel on the horizontal cross brace, not to the floor of the cockpit as suggested in the instructions. 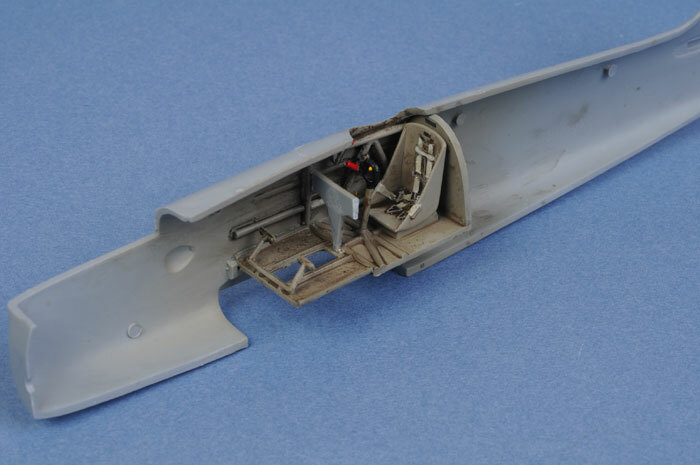 A few lengths of narrow plastic strip were glued to the inside of the fuselage halves representing additional stringers. I sliced the "wings" off the sides of the lower instrument panel (part C35) to improve the fit. No trimming of the floor or rear bulkhead is required. This assembly fits perfectly between the fuselage halves. 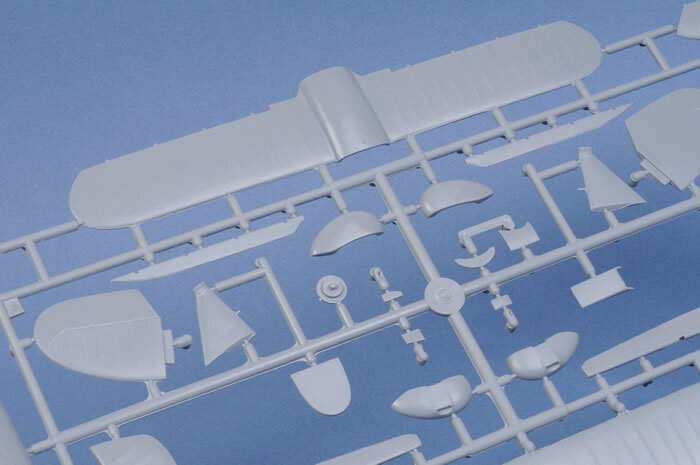 I did, however, slice off the front and rear sections of the locating tabs for the cockpit floor moulded to the inside of the fuselage halves. This delivered a bit more flexibility. 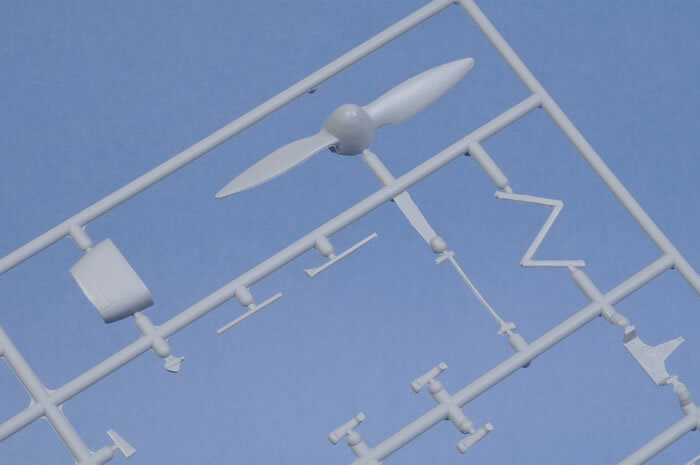 The fuselage halves, lower wing and horizontal tailplanes fitted precisely and were easy to align thanks to robust engneering. The top cowl part needed a bit more work - some sanding along the lower edges before assembly, and filling afterwards. The Heinkel He 51 featured two diagonal oval vents on the face of the engine cowling. These are lightly scribed into the plastic. I opened these up by drilling holes at the top and bottom of each opening, and cutting the centre section to shape with a new hobby blade. 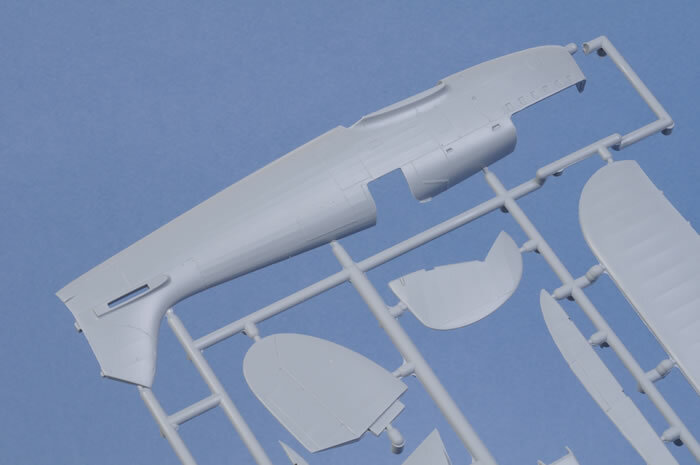 I will be rescribing the front cowling panel line and adding fastener detail prior to painting. The oil cooler below the fuselage is the most challenging aspect of construction to date. The intake filter (part C40) is far too tall and bulky to permit the housing to sit flat against the bottom of the fuselage. The vertical cross brace (part C52) is also too tall. I removed the filter altogether, and trimmed down part C52. This improved the fit, but I will have to blank off the back of the intake to eliminate the see-through effect. The fit at the sides is less than perfect, but this is not a problem as the join is completely covered by the top of the wheel spats. The actual location of the oil cooler housing and wheel spats are a bit vague too. Test fit regularly, and check the photo below for the correct location. 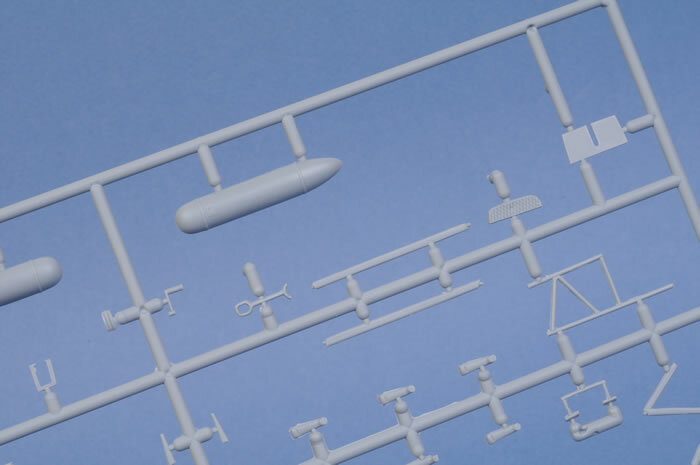 Classic Airframes' 1/48 scale Heinkel He 51 kits are a welcome addition to the early Luftwaffe line-up. 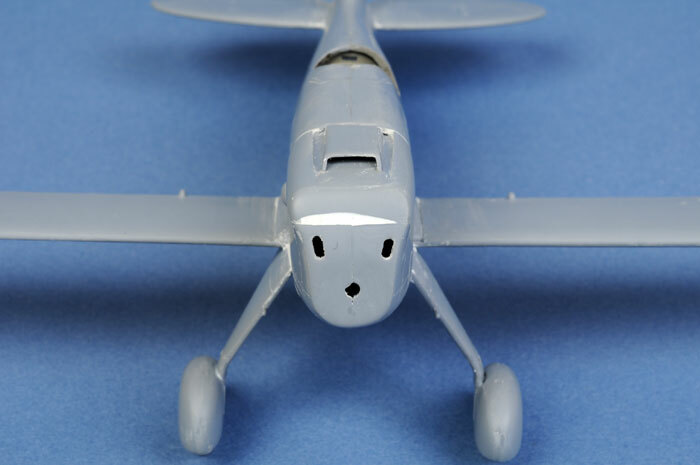 Having done a part-by-part comparison with the original He 51 release, I can confidently report that these new kits are superior in every respect - surface detail, cockpit detail, options and markings. You wil need some experience to manage some of the fit issues, but there is nothing too scary if you are willing to spend time test-fitting and preparing the parts. You biggest challenge might be deciding which of the attractive marking options to apply!